Chocolate Puffs are an intensely chocolate little treat that will satisfy your sweet tooth and hopefully remind you of the past with the simplicity of ingredients. 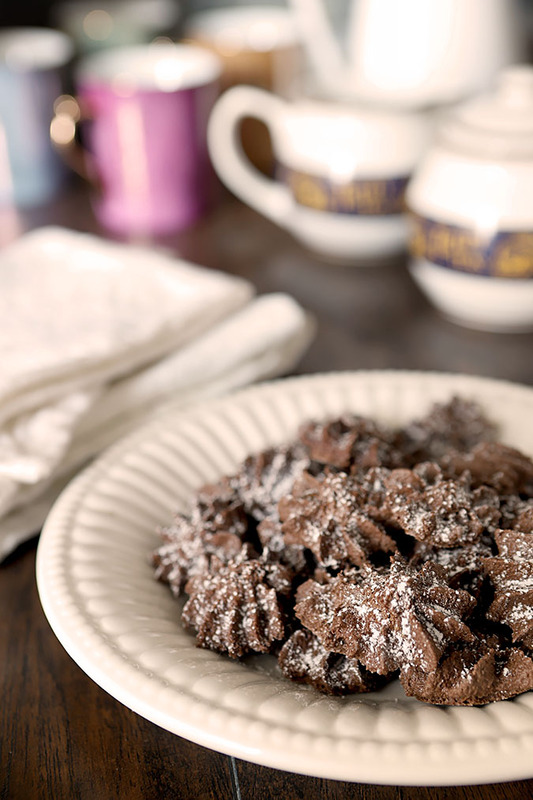 Not quite a cookie or a meringue, they are an old-fashioned chocolate indulgence! 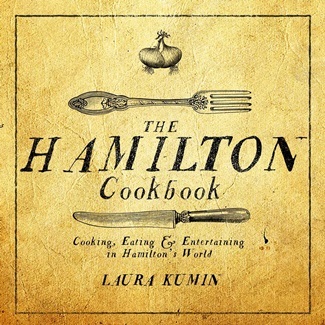 My friend Laura Kumin, who blogs at Mother Would Know, recently released her first cookbook, The Hamilton Cookbook: Cooking, Eating, and Entertaining in Hamilton’s World. Laura is a member of the Progressive Eats group I started a few years ago and she had asked the members if we would like to receive a copy of her book and try one of the recipes. I live for trying new recipes…how fun to go back into the past to do it! Quite honestly the Salamagundy Salad caught my eye and I was dying to make it. Unfortunately to get the true effect of this layered salad I would have had to use the only clear glass bowl I own which is a large trifle bowl and it would have needed salad for 15 to have filled it and looked pretty. I knew it would mean a lot of waste for me so I commenced searching for a recipe that would work for me now. Now as in I’m making holiday cookies and candies this week for gifts plates for my neighbors. Chocolate Puffs were perfect; call them a cookie or call them a candy; I just call them delicious! Alexander Hamilton: Who Was He? Not just a book of recipes, the author gives us a biography of Alexander Hamilton intertwined with his food experiences. She shares details of his life before he came to America and includes moments heretofore unknown. Both a family man and a soldier he was so much more and this book makes it evident why there has been such an interest in the man. I mean…there is that little Broadway show too, remember? You will delight at the research that gives intimate details both of Hamilton’s life and of the details that surround food and food prep, entertaining, and kitchen wares. If you’re intrigued by the musical; then this book can take you a step further into the personal journey of the man. Both a good read and some fun cooking exercises…not every book can promise that! Beyond simply sharing the history of the times when these recipes would have been current, there is also a photocopy of the original 18th century recipe that inspired Laura. Some translations make for unique measures like you see in this recipe but even more unique is the language; thanks for interpreting this one Laura, not sure I would have had the patience! Not to mention all one sentence…whew; this really was a labor of love! 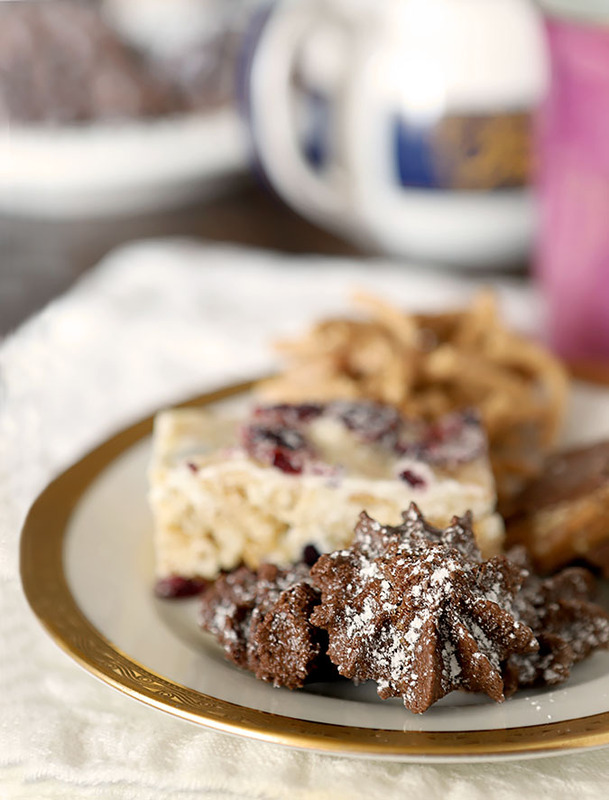 Made only from egg white, chocolate and sugar, these Chocolate Puffs from the “Sweets” recipes in The Hamilton Cookbook are naturally dairy-free and gluten-free too. While I don’t personally have to avoid eggs or dairy; I’m hoping friends that do will enjoy these little morsels. I’ll be honest, I expected them to be lighter and airier due to my familiarity with meringue cookies, also made with egg whites and sugar, but these have a greater concentration of sugar to egg whites resulting in a dough that is thick and almost like a paste. The result is a crunchier, sweeter cookie/candy with a bit of a sandy texture. A bit sweet on their own so want to know what I accompanied them with? Salted Peanuts! It was as if I had created my own old fashioned version of eating M&M’s with peanuts! This is a fun read and whether you crave history, love Hamilton the Musical, or just want to try some foods from the past, including these Chocolate Puffs, it’s a book worth having. This recipe is reprinted with permissions from The Hamilton Cookbook by Laura Kumin. Preheat the oven to 225° F. Set aside two parchment-lined cookie sheets. If desired, add a pinch of cream of tartar to help the egg white froth and stiffen. Once the egg white reaches the soft peak stage, slowly add the sugar/cocoa mixture while continuing to beat the egg white. The result should be a thick paste. Wet your hands slightly and form the batter into small coins about ¾-inches in diameter. Place them on the parchment-lined cookie sheets and bake for 1-1½ hours. I decided that I had to use a baking tip to get a more decorated cookie. Laura warned me that this dough was stiff and it might be difficult. Listen to Laura. I got a workout for sure; even with what I consider a huge tip. I'm not regretting that I did it, but next time I want to make these little chocolate morsels I'll do it her way! What a wonderful take on the chocolate puffs. And many thanks for your kinds words about the book. It was truly a labor of love and to have others cook from it is so rewarding. So sorry I didn’t get back to you sooner Judy; I saw your message and figured out what had happened and fixed it…but was out with a client and totally spaced letting you know! Thanks for the heads up! Sounds like a fun book! This recipe sure looks great. Who can resist chocolate? Certainly I can’t. 🙂 Terrific holiday dish — thanks.